For me, it is a little too early. I have a schedule of how things run this time of year. You may remember it from last year? Christmas planning, at Chez Wright, typically begins once we have attended the village’s Remembrance Day parade. This is also around the time the Christmas chutney gets cooked. This allows plenty of time for it to mature before the big day. 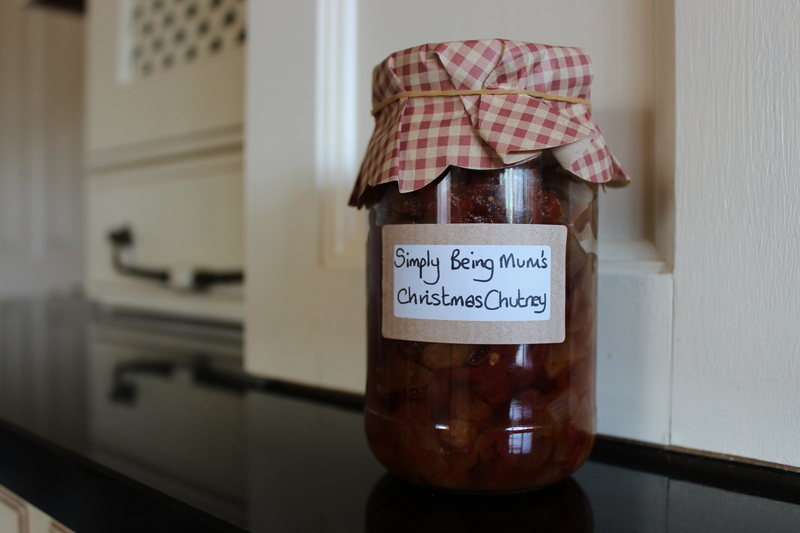 However this year, in order to make a save and not let some gifted homegrown tomatoes go to waste, I made our Christmas chutney mid-October. Generally I do try to delay Christmas activities until November. All that being said, a simple-homemade-mindful Christmas doesn’t happen overnight. It requires planning and preparation. And this year it’s going to be even simpler. Our first activity is to pack up and drop off our Operation Christmas Child Boxes. Both of my children make up a box. It’s then sent overseas to children the same ages and genders. The UK deadline is 18 November. There’s still time to make your own box if you’d like to donate. The conversation about Christmas, here at my virtual home, starts next Monday. Please don’t forget to pop by. Have you started your Christmas planning and preparation yet? I’d love to hear how you get ready for the festive season. Ah! It’s not Christmas yet! Ok that’s just left over from my childhood. We had a rule (mostly enforced by me) that Christmas did not begin until after my birthday (30th of November) because it is absolutely impossible to be excited about two things at the same time. Ok now that I’ve typed that it seems I was a bit of a strange child. Nonetheless Christmas still starts after my Birthday in my house. I think that sounds just right. I wonder if you mother was secretly planning this for Christmas before your birthday? Hi Elizabeth. You share your birthday with a friend of mine! Have a good one. I reckon leaving till after then makes total sense.